The first of two Creighton Farms homes to make the list and easily my favorite. Listed by Ron Resnick of Long & Foster and sold by Donna Karpa, also from Long & Foster, this French Country home has 5 bedrooms, 6.5 baths, and over 6400 square feet. As you might expect there are upgrades galore including travertine tile, a stone wet bar, geothermal floors, and an elevator! The only new construction home to make the list and second in Creighton Farms. A French Provincial design by Apex Custom Homes what makes this home unique is the one level floor plan. Sold by Christopher Russell of Long & Foster, there are 4 bedrooms, 4 baths, and 5245 finished square feet. If the 2600 square feet in the basement were finished it would be the largest home in the top 5. 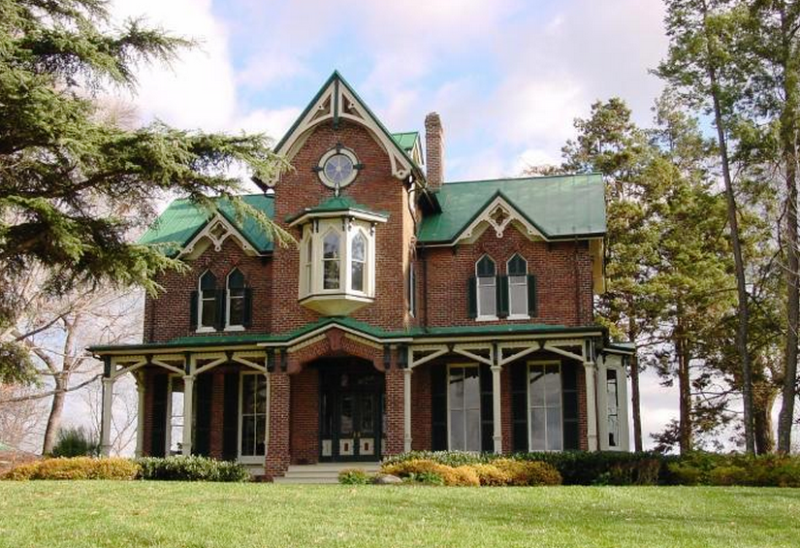 Built in 1890 in the heart of hunt country, White Oak farm is a 60 acre horse farm just outside of Middleburg. Listed by Scott Buzzelli of Middleburg Real Estate and sold by Gloria Rose Ott of Washington Fine Properties, the fully restored manor house has 4 bedrooms, 2 full baths, and 2 half baths. The property includes a 7 stall courtyard stable, 7 paddocks, and two additional dwellings. Another historic property in Middleburg built in 1878, we had a hard time finding good pictures for this one. Listed and sold by John Coles of Thomas & Talbot Real Estate, it’s a beautifully restored 4 level Victorian design. With 5 bedrooms, 3.5 baths, and 7 marble fireplaces, the property includes 52 acres, a 6 stall barn with an apartment, and 5 paddocks. And the most expensive home sold in LoCo for 2014? Half as expensive as last year’s top seller, this custom stone manor home leaves nothing to be desired. Listed by Colleen Barlow of W.C. & A.N. Miller, Realtors and sold by Scott Buzzelli of Middleburg Real Estate, there is a lot to love. Surrounded by a 38 acre arboretum the home offers 4 bedrooms, 5 full baths, 3 half baths, and slightly more than 7,000 finished square feet. Nestled on 180 rolling acres overlooking Catoctin Creek, the new owners will enjoy geothermal heating, 7 fireplaces, a 3500+ bottle wine cellar, and the swimming pool. So there you have it, the 5 most expensive homes sold in Loudoun County last year. From historic properties to brand new construction, there is a little something for everyone. What’s your favorite? Editor’s note: I chose not to include a $2.5 million property on Limestone School Road because it was basically a horse/alpaca farm with a small tenant home.